While everyone is busy talking about Bajrangi Bhaijaan, Salman Khan's 'first film' under his production banner 'Salman Khan Films', not many know that the actual first which went on the floors before Bajrangi Bhaijaan was Nikhil Advani's Hero. After few action packed schedules in Kashmir, the makers have finally wrapped up the shooting for the film and are all set to launch the theatrical trailer of the debut-pair's film on 15 July at an event in Mumbai. 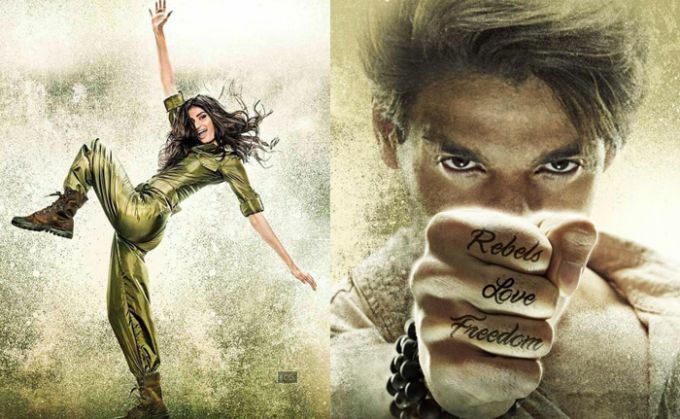 The film marks the debut of Suniel Shetty's daughter Athiya Shetty and Aditya Pancholi's son Sooraj Pancholi. The two star kids will make their first ever media appearance at the trailer launch event. The theatrical trailer of the film will be launched in the presence of Salman Khan, Subhash Ghai, Amar Bhutala along with the cast and crew of the film. 'Salman Khan Films' officially launched the debut duo's first look a couple of days back. Hero is the official remake of Subhash Ghai's classic Hero which marked the debut of Jackie Shroff. The movie is all set to release on 4 September, 2015.